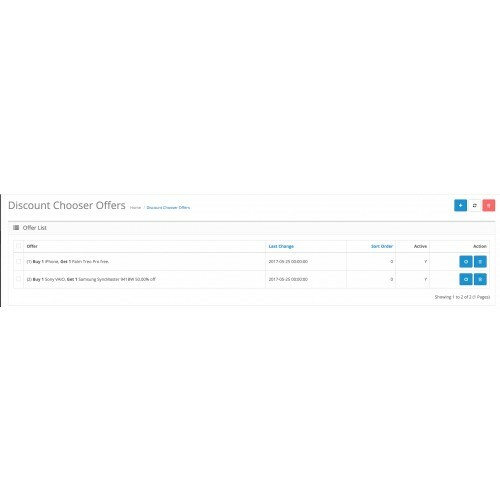 Discount Chooser simplifies the process of creating discounts based on items in the cart. 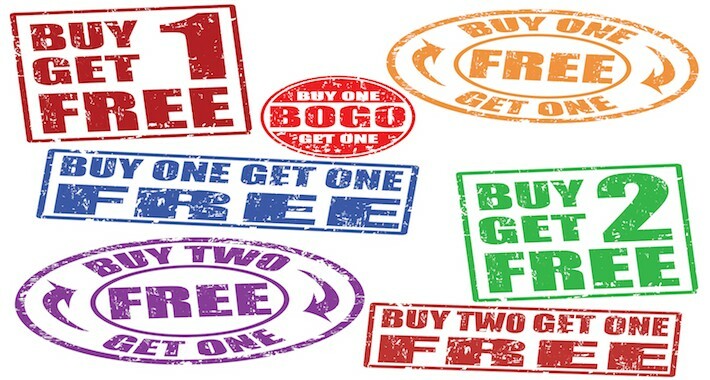 You can create buy one, get one at a discount, buy two get one at a discount, or buy <some number> get a choice of <some number of other items> at a discount. Item specification may be done by category or by product. 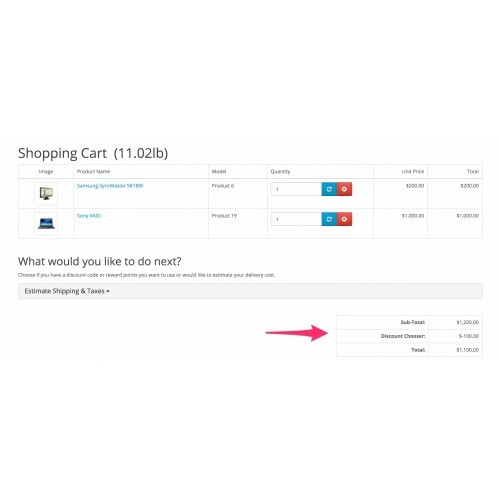 Here's a video that shows you have to create a Discount Chooser discount, and how it appears in the cart for your customers. 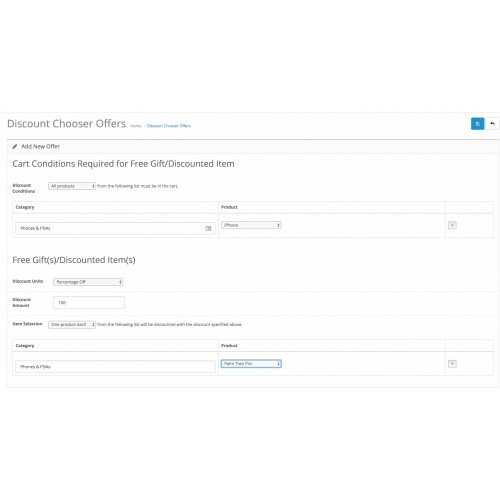 See the Discount Chooser documentation for a number of examples of possible discounts you can use to boost your business. Please let me know of any problems on the Discount Chooser Support Thread. Please use the support thread to ask questions or report issues.